February is a lovely month; capture your Valentine’s heart with these great recipes! Gifts, candle light, jewellery, a special night in or out; with Valentine’s Day plans already made (or still in the works), mustard can help you be bold and spicy this month. For the partner that loves to cook, you can always order a copy of Mustard Makeovers & More! and intrigue them with 100 creative uses for mustard, including desserts if you’re looking for something special to sweeten the deal. It’s common knowledge that the way to a man’s heart is through his stomach, it seems that the same can be said for women. So get romantic this month by cooking up a storm. 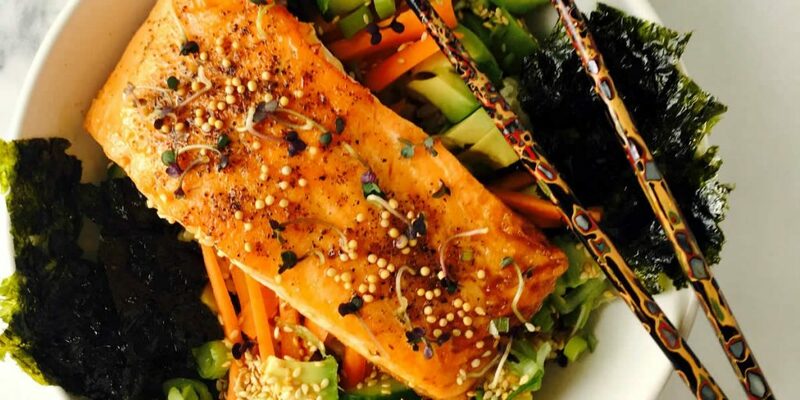 You can keep things delicious and heart-felt (plus heart healthy with canola oil, trout or salmon and avocado) by making the Teriyaki-Glazed Steelhead Trout, Cucumber, Avocado & Mustard Rice Bowls from our #MyMustard collection. It’s quick, gourmet and a great way to show off your skills. Once you’re done planning your menu for the day of love, it’s time to party! Celebrate Mardi Gras on February 13 with a potluck or indoor picnic and our salad that packs both ZING and BLING. Watch how easy it is to make. Get the Mardi Gras Picnic Salad Recipe here. More and more people are choosing snacks over meals these days. Our lives are often on the go, but that doesn’t mean we have to miss out on flavour or need to purchase packaged items all the time. Check out our Snack Recipes with Mustard Pinterest Board to rethink your nibbles for #NationalSnackFoodMonth. 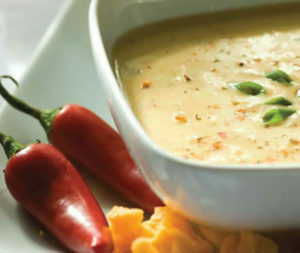 You can also opt to warm or spice things up with Cheddar & Ale Soup from our Inspired by Mustard collection. The suggested wine pairing (Malbec or Cabernet Sauvignon) works well with the cheddar and will help you serve the meal without a hitch. Or you can opt for a nice dark ale as it’s already an important ingredient.